Described as a flat, small cake, cookies are a long-loved snack that has been around for thousands of years. Originally, cookies had one purpose in the kitchen. Bakers used them to test the oven by baking small amounts of cake batter before baking an entire cake. Since then, these “small cakes” have evolved and now hundreds of recipes for cookies are available today, cookie shops are a common find and consumers can even buy cookies online. 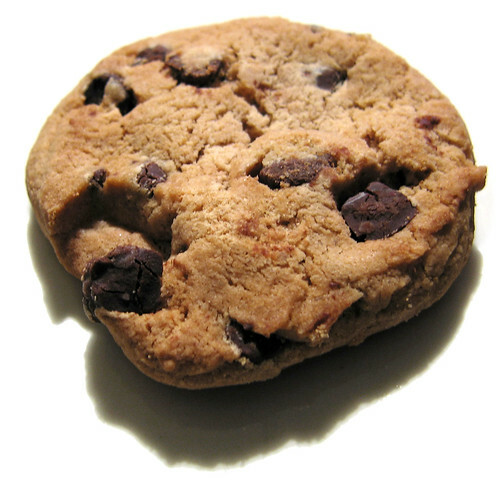 Here is a little history on some of the most common types of cookies consumed today. Ruth Wakefield and her husband Keith owned a Toll House inn in the 1930’s. Travelers and their horses were welcome to stay at the inn, rest, and eat meals prepared by Ruth for her guests. Often times, she made cookies for them to dine on. Butter Drop Do cookies were a popular choice in particular at this time. As she was making these one day, Ruth decided to add chunks of a Nestle semi-sweet chocolate bar to the batter. Her assumption was that these chunks would melt when the cookies were baked. However, the chunks only softened and still held their original shape. As a result, chocolate chip cookies were born. These cookies eventually became a big hit and are now considered some of the best cookies ever made. Making their debut in the 1700’s by German Protestant settlers in Pennsylvania, sugar cookies were an instant success. Their popularity remained the same throughout the years, and in the early 2000’s, the Commonwealth of Pennsylvania adopted it as their official cookie. Their basic ingredients and simple directions make them one of the easiest cookie recipes to follow. Although they are frequently eaten straight from the oven, the sugar cookie can be frosted, sprinkled, and cut into any shape for added eating fun. Most commonly you will find them used in cookie bouquets. Many claim to be the inventor of the snickerdoodle, and just as many people claim to know how it got its unique name. Regardless of its name though, this classic cookie is easy to make and is often served during Christmas. A snickerdoodle is a sugar cookie with a twist. When the dough is rolled into a ball, it is then rolled or dusted with a mixture of cinnamon and white sugar before baking. And like the sugar cookie, the snickerdoodle bakes round with a cracked top. Snickerdoodles can also customized in taste by adding various amounts of ingredients like nutmeg, cinnamon, or nuts. It can also be baked longer for a crunchier texture or baked shorter for a softer texture. Most snickerdoodles, however, are found to be slightly soft with no additional adornments. The history of peanut butter cookies began in the early 1900’s when peanut butter started to become a kitchen staple. The first recipe was publicly written in 1916, but the cookie really began to rise in the ranks when Pillsbury presented their recipe in 1936. This recipe called for the basic peanut butter cookie ingredients, with the addition of one more thing – fork hash marks on the top of the cookie. There is not a definitive reason given for the placement of these hash marks, but there are a few common reasons as to their meaning; recipe tradition, a more even baking outcome, and a warning sign for people with nut allergies. People love cookies and people love cakes. So when these two concepts were married to form the cookie cake, it’s no wonder it was such a success. Made from cookie batter and topped with icing, the first recorded cookie cake was baked in the 1970’s by the Great American Cookie Company. Not long after, other companies, like Mrs. Fields cookies, began making these desserts and had much success. Today, cookie cakes are used to celebrate many occasions and can be easily personalized for the person and the celebration.